I love autumn. It's my favorite season for many reasons. I love its colors (reds, oranges, yellows, and even the browns), flavors (apple, pumpkin, and butternut squash), and activities (baking, football, apple picking). I also love decorating our home for fall. Since a lot of our house is undergoing renovations (the kitchen, laundry, second bath and living room to be exact), there are some challenges with decorating our place to its full potential. I relish the moments I get to create something for our home though. 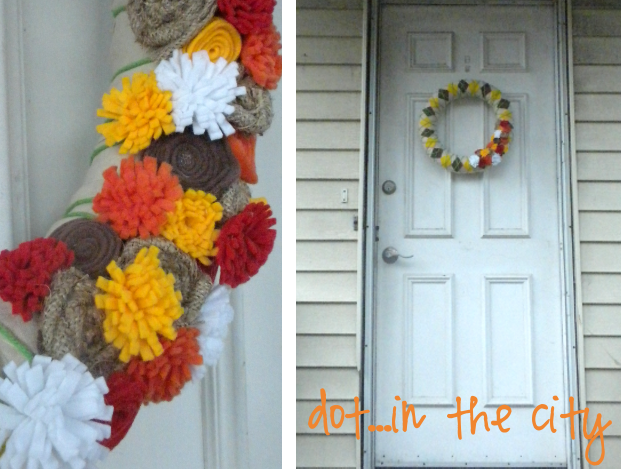 I finally made a fall wreath this week to hang on the front door which is quite cheerful. I love it since our front door is rather ugly (please excuse the photos). I got the argyle idea from this image via Pinterest. I also had fun learning a new-to-me kind of felt pom pom flower and making rosettes from burlap. 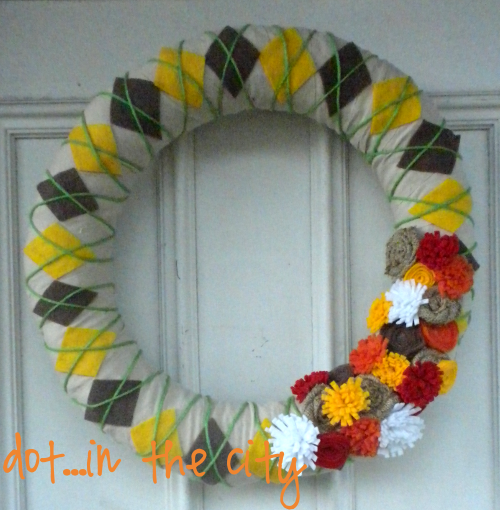 I'm linking up for Saturday is Crafty Day and Tip Me Tuesday. I'm off to bake something yummy with one of my cans of pumpkin and then to a Princess Tea Party. It's going to be quite a day! Super cute! I LOVE FALL too! My weekend plans are to hit up a few local art festivals with my mom and little man ;) It's going to be beautiful! Happy Weeken!!! 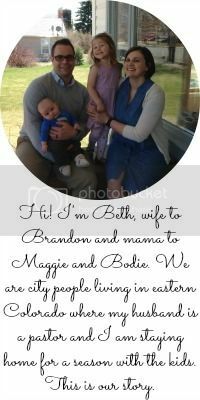 I love it beth! looks great! Autumn is the best :D Your wreath is absolutely gorgeous. I wish I had the talent to make those kinds of beautiful things! Your wreath turned out so well! I made a similar one recently and the most difficult part was wrapping the darn thing in yarn. The flowers were fun to make and the end result is completely worth it. I love fall!